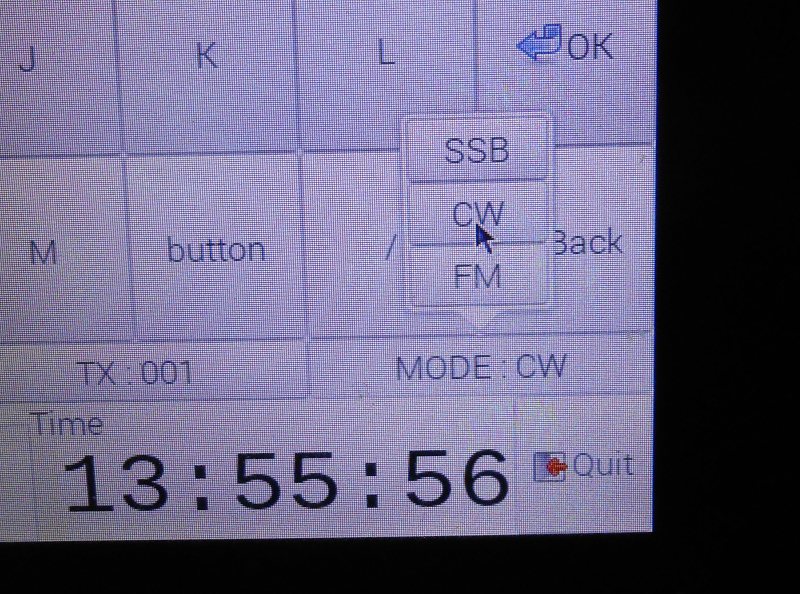 I've discovered that the combobox in GTK3 is unusable on a touch screen like the official 7" display. First found the problem in my own code then found the combobox demo code in gtk3-demo has the same problems. I can't find anything other than vague mentions of this problem and no suggestions for solutions. Install the demo and try it yourself. The "Items with icons" example won't allow the selection to be changed from "Warning"
With a mouse the selection highlighting follows the mouse pointer, but with the touch screen the selection won't change. And it is inconsistent too. Once in a while it seems to work for one change, then it stops working again. It could be that GTK+3's combo-box suffers from being too sensitive, clicking it brings the selections up and requires a second click to choose an option. However if the pointer moves so much as 1 pixel (I think, definitely very little movement) whilst that first click happens then it automatically selects whatever is under the pointer on release. With a touchscreen there is a big chance that a small movement is registered between touching and releasing. You might not notice that the list was opened if it hasn't had time to update the display before the selection happens.